Caller: I don’t mind having people reach into my account if there’s money there. WIDTS: Mind saying that again, sir so I can get it on tape? I will be watching to see your name appear on a list of lottery winners. While my daughter was with me for my recent bi-weekly visitation this weekend, we played a session of the board game, Life. If you are familiar with the game, you know that as you go through the gameplay you pick up what are called “Life tiles” and at the end of the game these tiles are turned over and the dollar amounts are added to the stack of cash that you accumulated. I usually don’t look at the events mentioned on the tiles, but this time through I did. And I thought it would be cool to write a short(?) story based upon those events I had “experienced” in the game. Hey, if Milton Bradley‘s Battleship can spawn a movie that ends up being based on only 1% of itself, why not, right? Well, here is a picture of those events. Who else would like to take this challenge and compare stories? flash games 2012 with alleged email of Squitieri33035@gmail.com posting from a supposed IP of 187.17.173.38 and commenting on the ‘Seasoned’ post, says: At the end of the day â€˜Let your yes be your yes and your no be your noâ€. Respect is some thing that is gained by means of believe in and trust is built on the integrity of the writer who releases words to be read by numerous. WIDTS: Letting “my yes be my yes and my no be my no”? That is profound. Which is something people say when the other person says something that is completely off the wall and they don’t want to offend the speaker. Daddy, Buy Me A Pony? WIDTS: After the 3rd date and he has gotten the only thing he wanted from you in the first place. My 11-year old: Dad, you should ask Santa for the Xbox Kinect so you can get Just Dance 2. Copyright 2011 What I Desired To Say…. WIDTS: No, they are not. 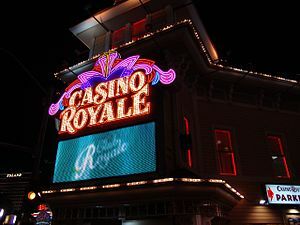 Casinos have noticed a large drop off in attendance since the nation has started to become more religious, so they give employees the night off to have Family Home Evening with cookies and lemonade. 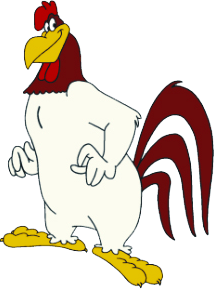 WIDTS: Maybe cutting down from double portions would be a beginning, Foghorn Leghorn.